This post is sponsored by PayPal. As always, all opinions are my own and I only share products and services I use myself. Ya'll know I love to change around my decor and keep things fresh. One of my favorite ways to do that is with accent pieces like side chairs. These go-anywhere pieces are so easy to swap around to give a room a new look. Here are four reasons why they are my go-to. 1. The Team Player. Fill in Any Decor Gap. I moved my favorite white side chair into this awkward, hard-to-fill space next to our fireplace and voila, instant reading nook. 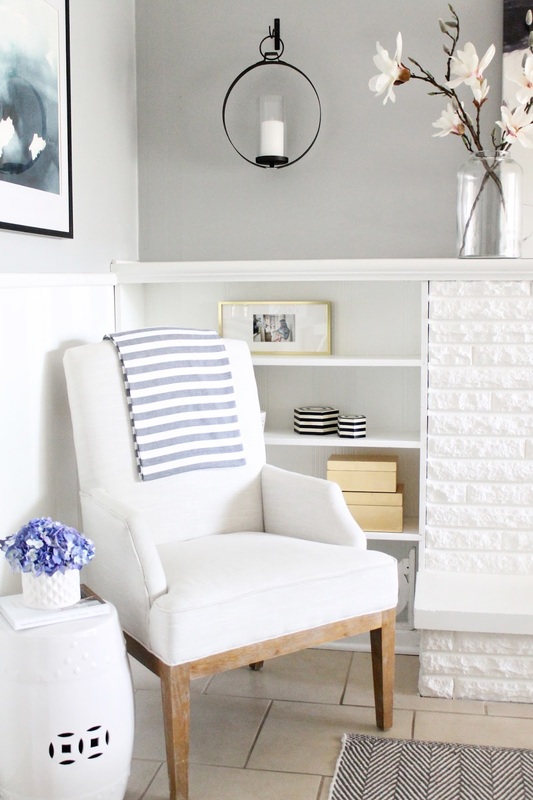 Anytime a corner needs a little livening up, I know I can just pop in a cute chair and the work is done. Plus, chairs are easy to change up with a different throw or pillow, like this striped beauty I added for another layer. Every now and again I swing and miss when ordering accessories like pillows online. But I've gotten more confident in purchasing them because I know that if I need to return something, PayPal will pick up the return shipping for me! Yep, no more debating between keeping an item you're not thrilled with or paying that pesky return shipping cost (ugh). PayPal picks up the return shipping tab for you and everybody's happy! 2. Did Someone Say Affordable? Yes! You guys know what a bargain shopper I am. You can find accent chairs at such great prices, and they are so much less of an investment than pricey pieces like sofas. 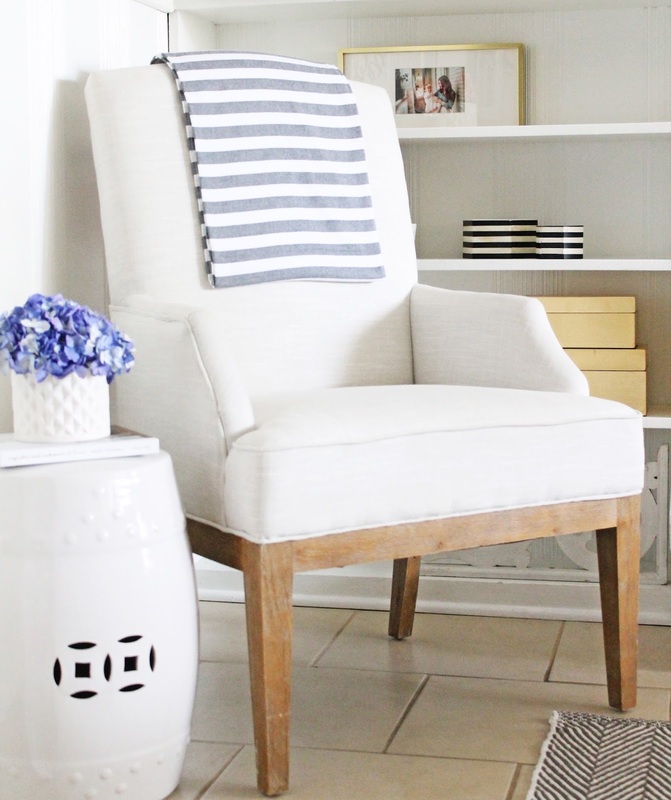 Often I see them for incredible prices at stores like TJ Maxx (this favorite white chair was a TJX score). And when I'm buying furniture online, I love that I can use PayPal's Pay After Delivery to make sure I love what I purchased. PayPal's Pay After Delivery option lets me shop with confidence knowing I can inspect that pretty new chair (or any other goodie I've ordered) before I pay. And my purchase is protected if something's not right. I love that it takes all the worry out of ordering online! 3. The Go-Anywhere Chair. Versatility and Flexibility. It's rare that a piece will work as well in my bedroom as it does in a dining room, but that's exactly what I love about the versatility of accent chairs. 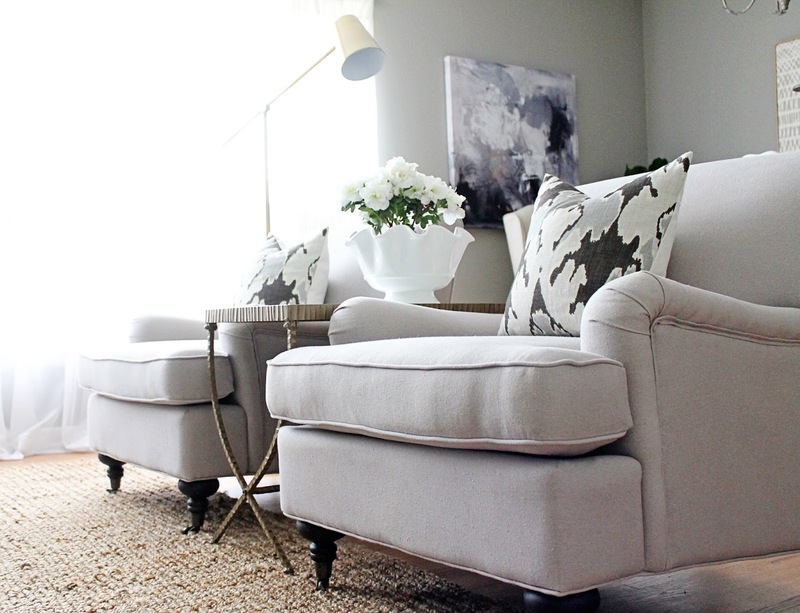 I love that I can choose a gorgeous chair and it will have a home in almost any room of the house. 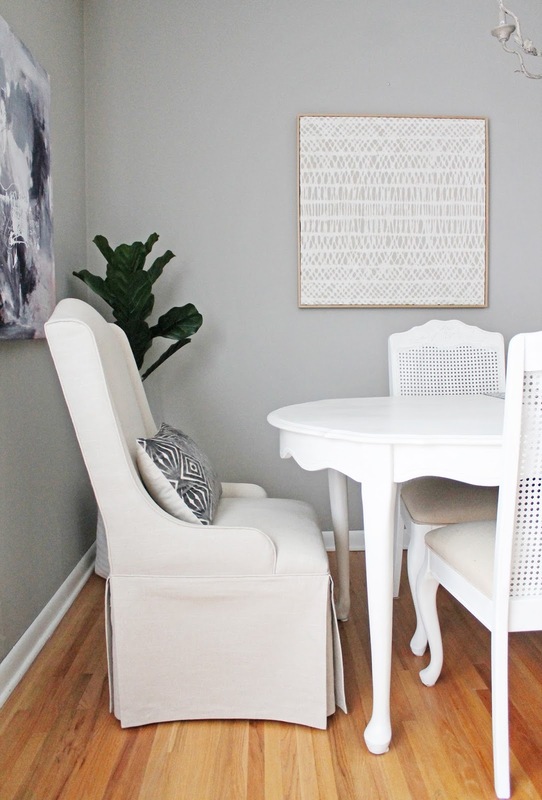 Here I added upholstered parsons chairs to the ends of our dining table and it completely changed the look of the room. But I could easily slide one in to the corner of our bedroom and it would fit in just as well. 4. They Make a Statement. Hubba Hubba. Here I used two matching chairs to create the feel of a larger piece. I love the statement they make and how much symmetry they add to the room. Sometimes a good chair is the cherry on top when you've got lots of larger pieces in a room, or need to visually break up a space. What about you guys? Do you have a go-to piece of furniture or decor? Do tell! 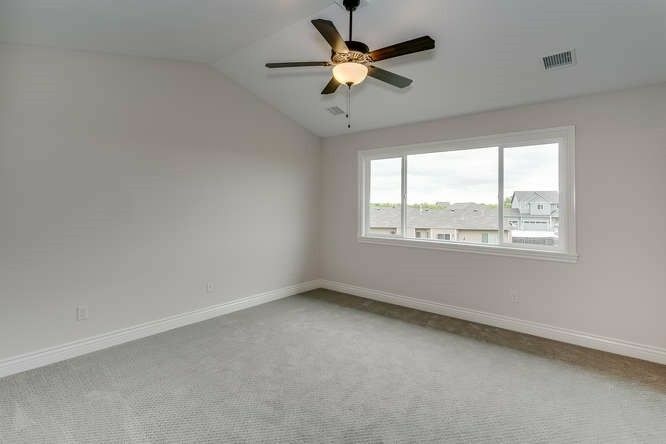 There is so much I want to do in our new house! The great thing is it doesn't need any work at all. We could move in, set our furniture down and be done. But you know I have more planned than that! 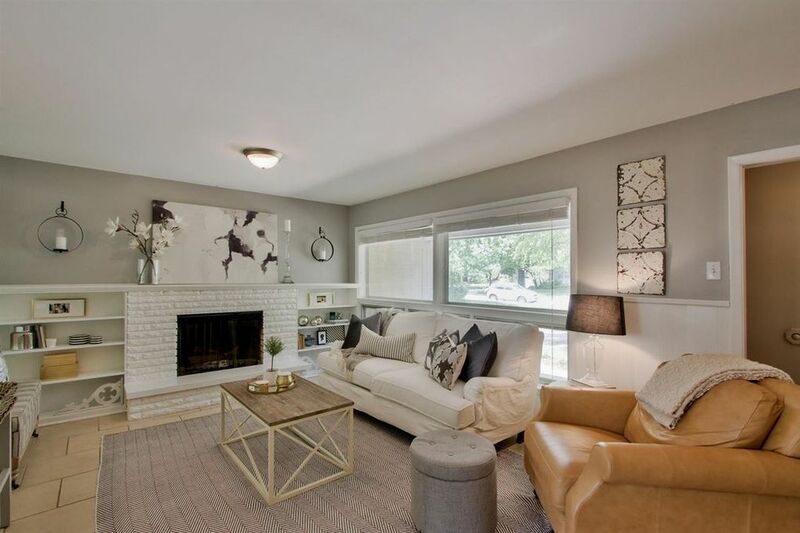 While I don't want to do anything major like renovating or even painting, I do have plans to change most light fixtures and then really make it come alive with furnishings and accessories (my favorite part anyway!). 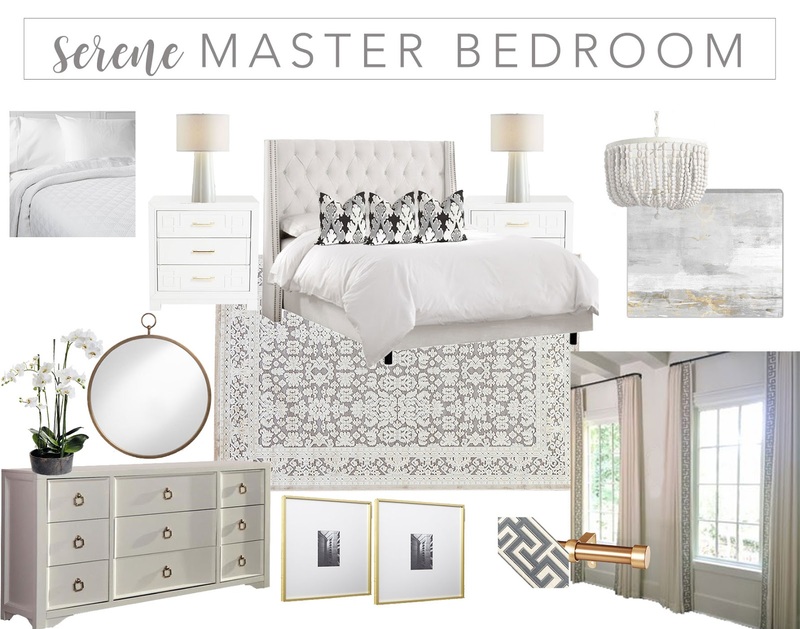 The master bedroom is first on the list mostly because we want to upgrade to a king bed and finally graduate to dressers I did not own when I was 4 haha. Here is the very lovely blank slate we're working with. I love the large window, vaulted ceiling and textured carpet (I can't believe I'm saying I love a carpet, but this one I actually do!). I want this room to feel very sophisticated and relaxing, like a luxury hotel or spa. I've been really inspired by Monika Hibbs' master bedroom. Isn't her custom headboard gorgeous?! And here are my plans for the space. The white tufted wingback headboard will be the star of the show, piled high with sumptuous linens and flanked by gold and white night stands. 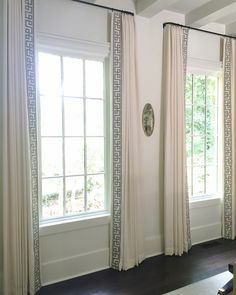 I would also love to infuse some interest and personality into the room with curtains trimmed with this gorgeous Samuel and Sons trim tape. It's those kind of details that make a room feel custom. I'm not sure I can handle the price tag though haha. I'm hoping I can locate it for a good price or find something similar. While we're on the subject of bedrooms, does anyone have an opinion on mattresses? I've been looking into the ones you order online that come in a box and expand in your house, but I'm not sure I'm brave enough to buy without trying them out. Does anyone have a favorite brand - either traditional or online? I am having so much fun making plans for our new house! If all goes according to plan we will move in at the beginning of July. Of course it will take some time to get settled and we may have to save up for some of the bigger purchases we're wanting to make, but I'm sure I'll have lots to show you over the next several months! Can't wait! It's finally happening! After a house hunt that felt like forever (although technically it was probably only a few months) and thinking we would never find the perfect house at the perfect price, we found our dream home! It's a new build, and actually by the builder we were working with before we talked with our bank and decided we couldn't really afford to build the house we wanted, so it all worked out in the end! We put an offer in last week, which included some pretty big asks of the seller, and couldn't believe it when he accepted without any changes! 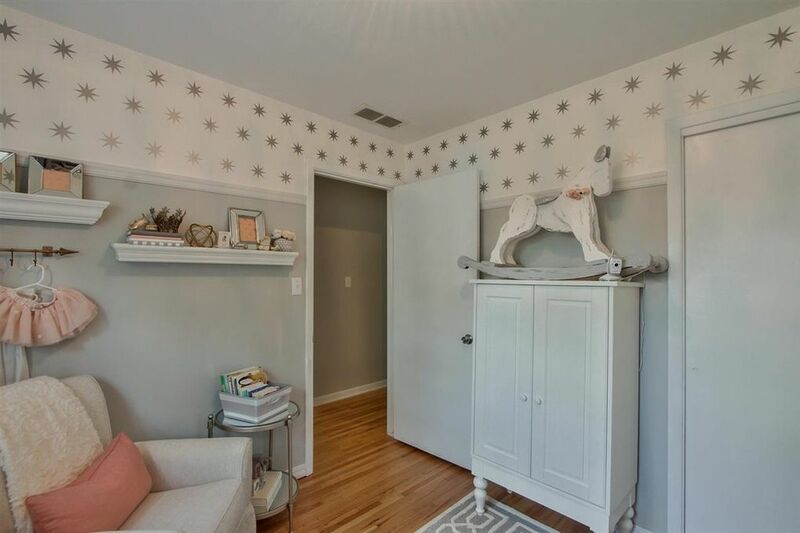 Our current house hit the market yesterday and I thought I would share some photos of it staged for real estate from the listing. 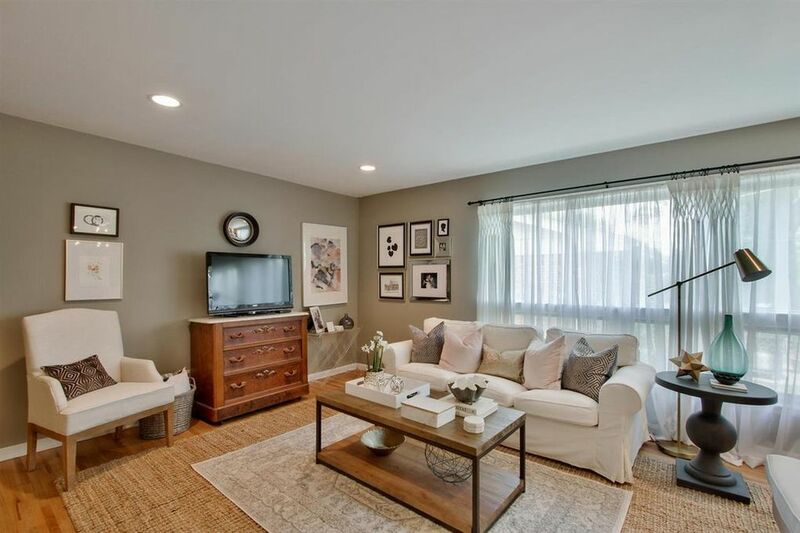 It's not terribly different than usual but it is interesting the difference between real estate photography and interior photography. 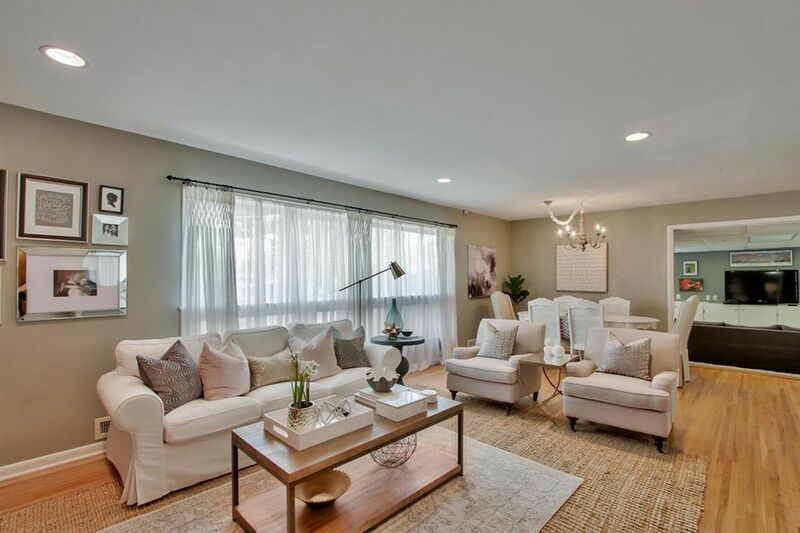 Here are my best tips for staging your home to sell. This comes from both my experience touring homes recently and getting ours ready to sell. I admit I am not the world's best house keeper, but when getting your home ready to sell it must be sparkling. 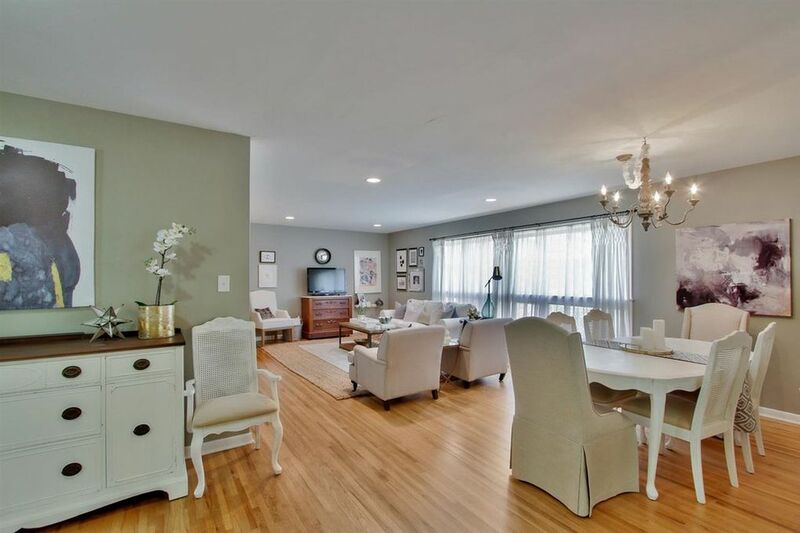 We hired a professional crew to come in and clean everything before listing and it was money well spent. I have been into several homes while looking that just did not feel clean, and were even kind of grody, and it just turned us off so fast. Make sure your home is as clean as possible while having showings. This is tricky while living there (and with kids!) 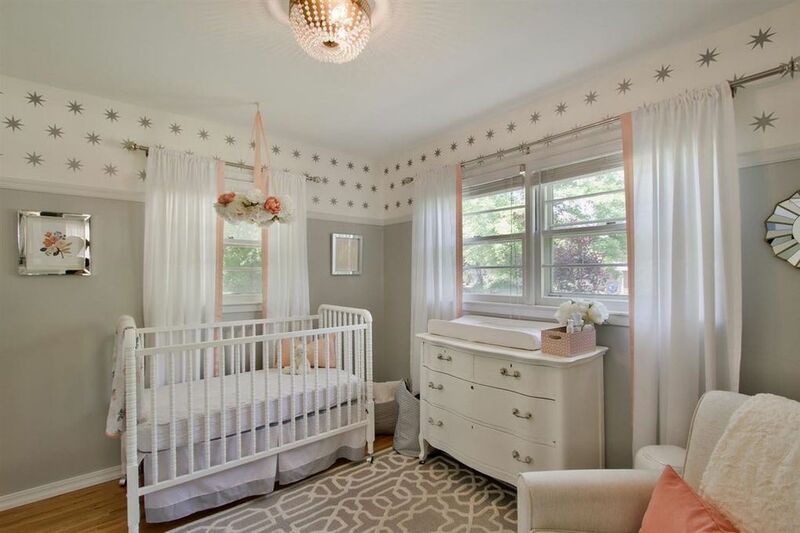 but it's totally worth the extra hassle to get the home sold. I know you hear this one a lot, but it really is so true. You don't realize how much "stuff" you live with day-to-day that doesn't make the house look its best. 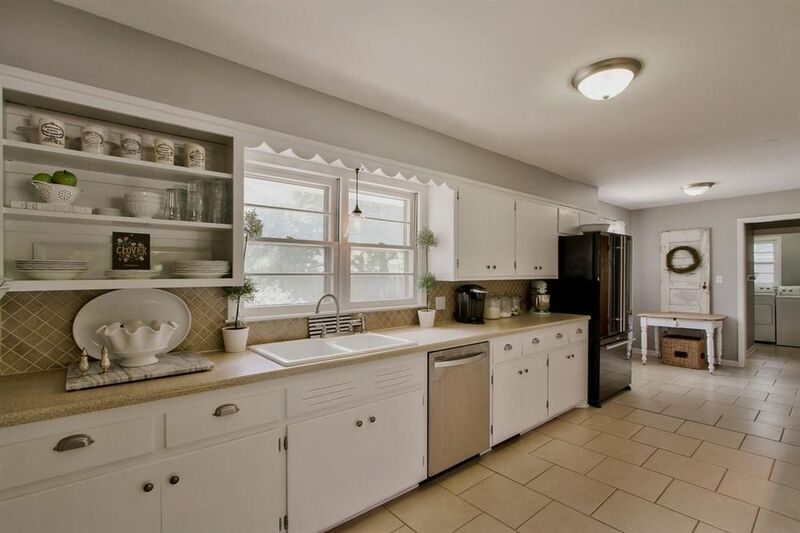 I like to think we don't leave out too much, but I still removed probably 3/4 of what was on our kitchen counters and even lots of my decorative items from other rooms just for the staging. Let the rooms breathe and people won't be distracted by all your stuff. This is sort of an ambiguous one, but when you're selling your home you're really selling a lifestyle. Make your spaces feel as luxurious and relaxing as possible. 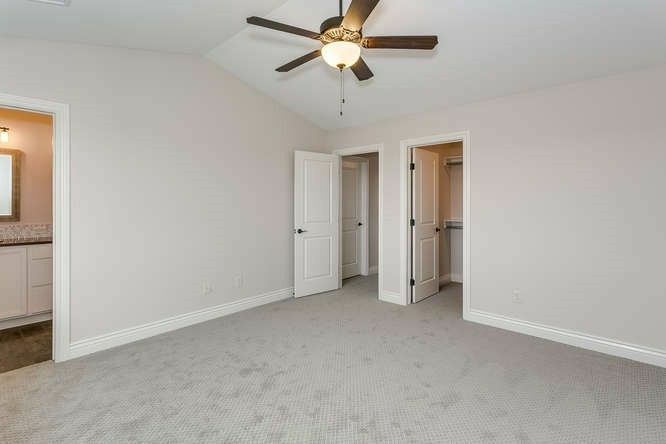 You want people to imagine the great life they could have if they bought this house. It's not about how you live, it's how you want people to imagine living. Our realtor gave me the tip of adding potted orchids to the bathrooms and even that little step took things up a notch. Try thinking of presenting your home as if it were a luxury hotel and see what changes you would make to create that kind of feeling. 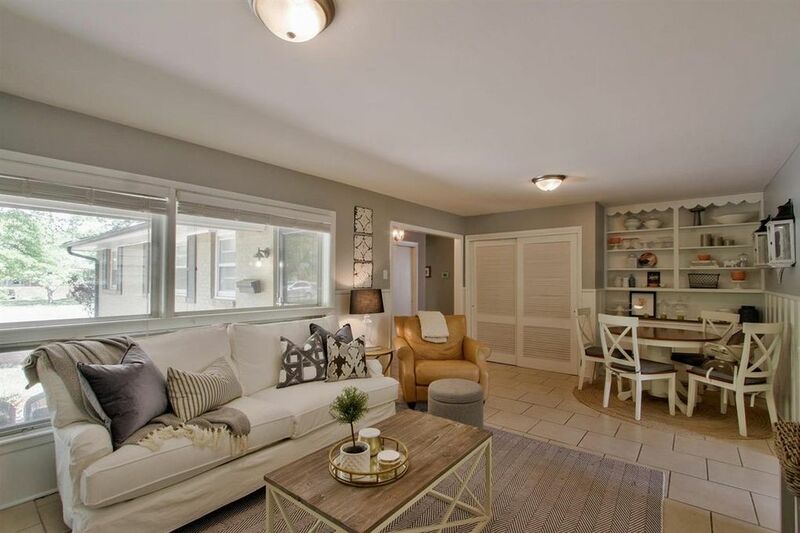 There wasn't a lot that needed to be done to our house, but there were several small projects we completed just to make the home look its best and so they wouldn't be a deterrent to buyers. Complete all those little projects that have been on the back burner, so buyers don't see "work" when they walk into your house. 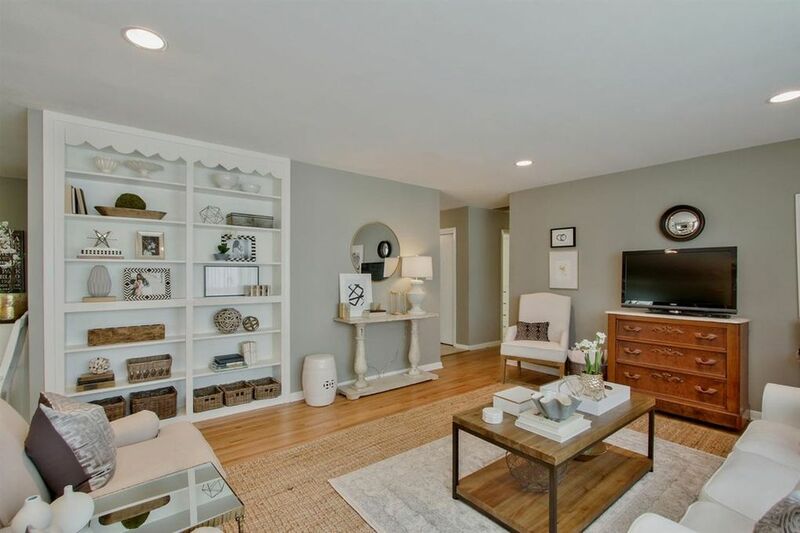 Stage your home to show the best way to use its space. 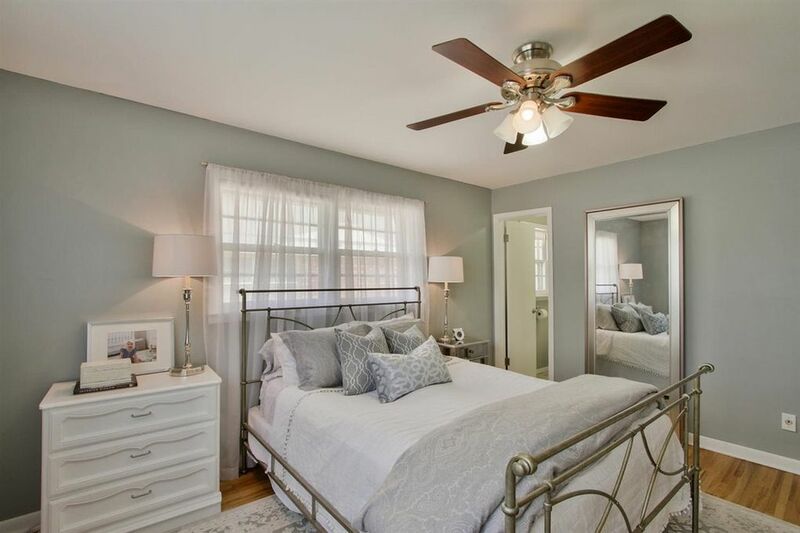 Even if you're using rooms differently, it's important to show buyers what they can be. Remember, it's not about how you live, it's how you want people to imagine living. I'm really hoping our house will sell quickly and we can be in our new home in no time! If you're in the Wichita area and would like more details on our home, just shoot me a message and I'd be glad to share more with you. Thanks for sticking with me through this moving process! I have tons of plans and ideas for the new home to share, so watch for that super soon!